Art Asylum has diversified its Minimate line with a broad range of pop culture licenses, and possibly its most successful offering aside from Marvel Comics characters is its very comprehensive Ghostbusters line. 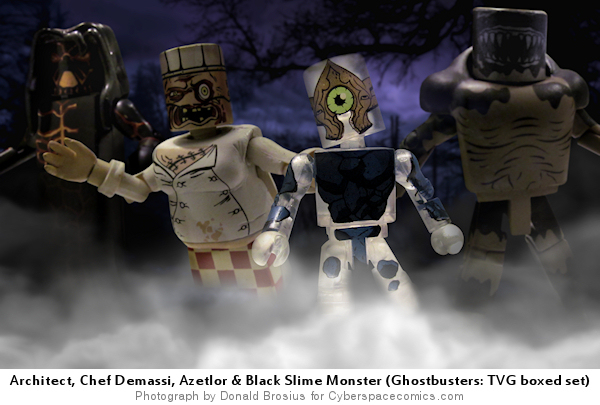 With Halloween in full swing, I thought it’d be fitting to look at some of the ghouls from this popular movie series. Just like last week’s BTTF image, this one required some heavy photoshopping. I had fun once again with the cloud tube that gave the fog/mist look, which I used to blend the individual photos of each Minimate overtop an image of some woods that I found from a google search. Relatively simple, and relatively effective. Doctor Doom‘s got a mission and he’s going to stop at nothing to accomplish it. 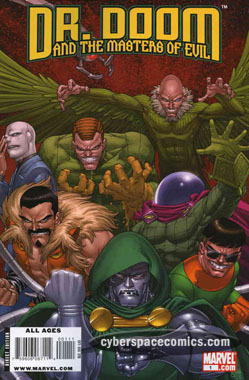 To begin, he sends the Sinister Six into a Stark Facility against Iron Man and Dr. Strange in an effort to capture some R5-Puddon. The elemet allows Doom to craft a strong, illusion-creating gas. Then he pits the Circus of Crime against the Masters of Evil in a move to gain immortality from a powerful stone. Doom then uses the illusion-gas to distract Blastaar long enough to kidnap an ancient creature named Quinn. Finally, Doom and Magneto travel to Selene’s mansion on the coast of Scotland. Quinn revealed that this spot contains great power created by the Infinity Gems. But, in order to harness that power, Doom must first defeat Selene! Or, at best, outwit her. Once outwitted, Selene grants Doom access to the power – allowing him to utterly destroy his greatest enemy! Uh oh! Reed Richards of the Fantastic Four better prepare for utter oblivion! Or, should he? Who is Doom’s greatest enemy? And, will he give up his immortality to be able to harness the power to destroy that foe? The Bad: This story is so cool that I wish it was in-continuity – but, alas, I have the feeling it’s not. The Good: Great, bright, shiny, dynamic art. Tons of villains thrown into each issue. One of the coolest Dr. Doom stories in terms of characterization. The Verdict: This series is a great example of the driven nature of Doctor Doom. He stops at nothing to achieve his goals and has everything planned out six steps ahead of everyone else. Everything and everyone is just a stepping stone to his ultimate goal – even other threatening villains like Magneto! Besides all that, the story is a blast. It’s got adventure, exotic locales, powerful villains and fun little scenes/dialogue that keep it interesting. There’s plenty of action in every issue featuring big battles with lots of established villains (and even a few heroes) but, the true highlight here is the writer’s understanding of Doom’s character. If you’re a Doom fan, you’ve gotta read this one. Kyle Baker‘s fast and loose art has been featured in dozens of titles over the past 25 years. He’s illustrated Plastic Man, Deadpool, Batman, the Spirit and many others. And, as a writer, he’s created works that include the Cowboy Wally Show, King David, and Why I Hate Saturn. 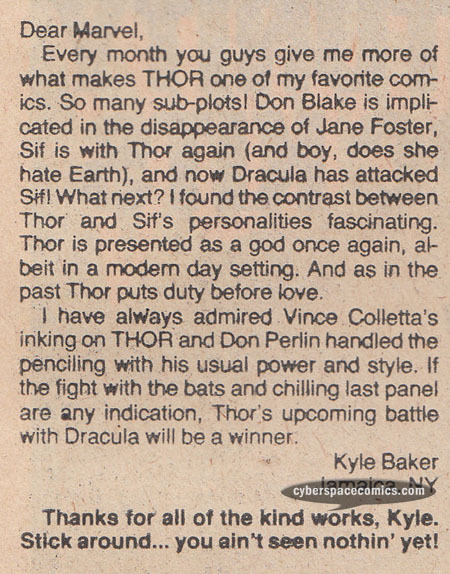 He got a letter printed in Thor #336 (cover date – October 1983) wherein he praised both the writing and the art – makes sense, since he now does both profesionally. 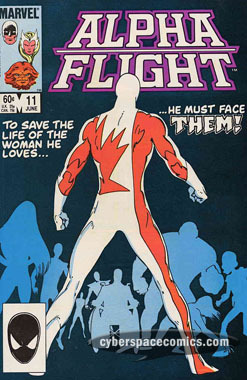 This Alpha Flight swipe uses an interesting technique by reversing the focus between the two covers. On the earlier issue, Guardian is the only one detailed. In the 25th issue, the rest of the team is in focus allowing for a nice “mystery” to be highlighted right on the cover. Consumed with the same insatiable hunger as her father, Galacta lives on Earth and has chosen not to eat it or any of its natural inhabitants. To satisfy her diet, she uses her cosmic awareness and high-tech gadgets to seek out non-native organisms. Things on the menu include Kree Thermophile Lithometallovores, Skrull Bacteria, alien wardrones from the Cambrian-Era and Kronan Stone-Men. However, the problem is exacerbated when Galacta discovers a hungry organism inside of her that she identifies as a cosmic tapeworm! On her continual quest for sustenance (for herself and now the tapeworm, as well), she encounters heroes like Wolverine and the Fantastic Four. Each new adventure inspires possible ideas on how to sate her hunger. Could she continually feast on Wolverine as he continued to regenerate? Perhaps Thor might lead her to enormous hunger-sating meals made up of the World Serpent or Mjolnir itself? Finally, she travels to the Baxter Building to learn the whereabouts of the Ultimate Nullifier. In a desperate plea, she risks oblivion itself – hoping that the Nullifer can remove the parasite without killing her – knowing the chances of her surival are slim to none. Is there anyone powerful enough to stop such a powerful cosmic entity from killing herself? And, what is this cosmic parasite anyway? 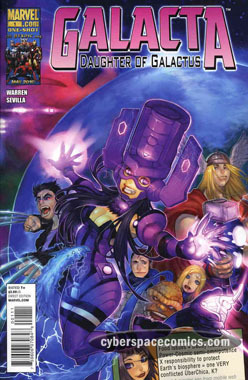 Galacta debuted in 2009’s Marvel Assistant-Sized Spectacular alongside a number of other features. Readers were allowed to vote on which feature would go on to get it’s own stand-alone one-shot and that honor was given to Galacta, the Daughter of Galacta. This is certainly an ambitious, double-sized comic. The art is great, energetic and shiny but the story utilizes very little dialogue. It’s moved along via a combination of excerpts from Galacta’s Twitter account and the lengthy, unanswered messages sent to her absentee father. The character herself is high-concept, as well – a curious mix of an all-powerful, highly intelligent being with the ramblings of a tech-oriented teenager. A teenager with established morals and a drive to stick by them! As a Marvel continuity buff and a huge Galactus fan, I can’t imagine that this tale can be considered a part of Marvel mainstream canon but with that firmly in mind, it was an enjoyable and well-conceived story. As the Minimate line grows, Art Asylum continually pushes the boundaries of what their block figure line is defined by. One of ways that they have begun branching out recently is the addition of “mini-vehicles” to accompany certain licenses. Among their more popular offerings is the oh so famous Delorean time machine to compliment their line of Back to the Future Minimates. 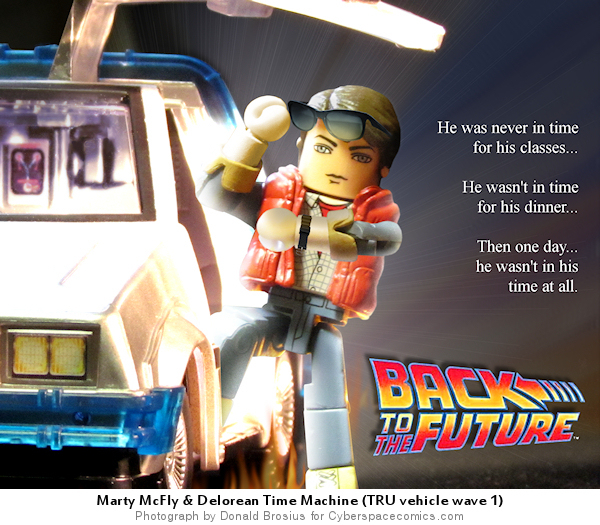 Back to the Future is celebrating its 25th anniversary this year, and what better way to honor such a monumental film series than to feature an iconic image in Minimate form, to coincide with the bluray release of the BTTF trilogy? Anyone familiar with the original poster can tell that this isn’t a straight-up recreation. Art Asylum has already given us a wonderful Minimate homage to Back to the Future, so I felt a little less constrained to make my image an exact duplicate. That came in handy, since I sorta decided to do this image at the last minute (seriously though, it just fit too well. 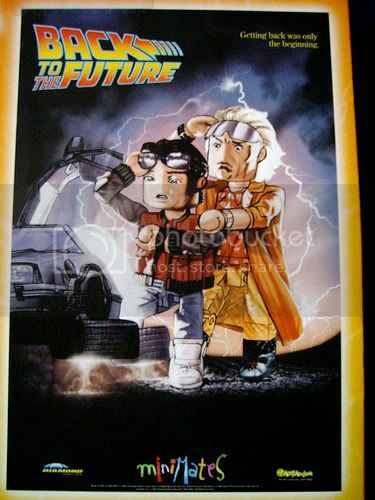 The 25th Minimate Spotlight just days before the BTTF 25th anniversary bluray anthology is released? too good to pass up), and this was a pretty labor intensive image. Following Marvel’s Secret Invasion, the Fantastic Four return to the Baxter Building and Reed Richards quickly builds himself the Bridge. It allows him to analyze the thousands of alternate realities that exist to see if he could have done anything to prevent the recent events (Civil War, World War Hulk, Secret Invasion, Superhuman Registration Act, etc) from occurring. At the same time, Norman Osborn has directed H.A.M.M.E.R. 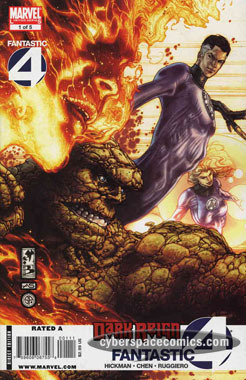 to attack the Baxter Building to submit the Fantastic Four to a review in the hopes of determining if they will be allowed back into the Initiative Program. The resulting power surge causes the Bridge’s Visualizer to send the other three members of the team (the Thing, the Human Torch and the Invisible Woman) on a trip through alternate realities/times: battling Celestials, dinosaurs, WWII soldiers, knights, wild west gunmen and pirates. Meanwhile, Franklin and Valeria are left to fend off Norman Osborn and Venom (Mac Gargan – formerly the Scorpion) from their intrusion into the Baxter Building. Fortunately, Reed powers down the Bridge after analyzing all the results, freeing the rest of the team from its effects. With the team reunited again, they send Osborn and his agents packing. Upset at the danger the Bridge put her family in, Sue demands that Reed destroy it. But, will our inquisitive scientist hero be able to destroy such a powerful device? You bet he won’t! Especially now that he knows what he needs to do to put things right with the super hero community once again. The Bad: Hickman uses this mini-series to build up the plot he’s developing in the monthly Fantastic Four title … so it doesn’t have a true stand-alone feeling. And, as far as this relates to Norman’s Dark Reign – nothing happens! He tries to gain access to the Baxter Building and the team sends him away. The End! Rather lacking for a five issue series under the Dark Reign banner, if you ask me. The Good: The story is able to provide an interesting analysis of why things went wrong in the Marvel Universe and attributes them to specific characters. 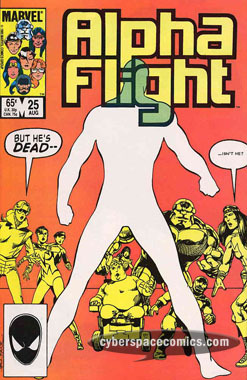 It’s an interesting look at how Reed’s pure motives got tainted by the ideas of other heroes. The Verdict: While I found Reed’s thought-processes of what went wrong to be pretty interesting, the adventures of the rest of the team were pretty meaningless. The final showdown between Osborn and the Fantastic Four was ended pretty quickly and then some mystery characters were introduced that weren’t paid off in this story (although, I can only assume they’ll pop up in the ongoing FF title). In the end, it just seems like this series is a lead-in to the (hopefully) more important events going on in the monthly title – so perhaps your reading time would be better spent there. Terry Collins‘ comics career has remained outside the mainstream super-heroes world for years. Although, not too far outside mainstream. He’s worked on plenty of high-profile indy books including Elfquest, Doc Savage, the Tick, Lost in Space and more. 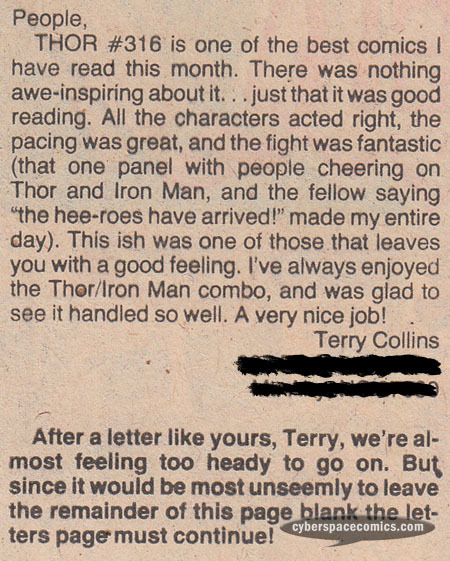 With his indy work in mind, it’s no surprise that he got a letter printed in Thor #323 (cover date – September 1982) applauding characterization over action.